Plans to merge a primary and secondary school have been submitted to Powys council. An all-through 4-18 school would be created on the current Llanfyllin High School and Llanfyllin County Primary School sites under the proposals. Combined pupil numbers are expected to fall from 844 in January 2019 to 702 by 2023. The plans, which are supported by the schools' governing body, will be considered on 18 September. If approved, a consultation will launch in October and the schools would amalgamate from September 2020. 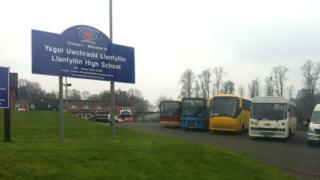 In June 2017, four Llanfyllin High School governors were cleared of accusations they had broken rules by using almost £500,000 of funds to subsidise transport for almost 200 pupils from outside the catchment area.